Morgan's looking to hide out from her life, but what she's not counting on is Bo, the handsome and rugged mountain guide at The Lodge who has his own heartache to bear and his troubled little girl who sneaks her way into Morgan's heart. Opening her heart again means opening herself up to the hurt that threatened to destroy her once. But if she can let down her guard long enough, Morgan might just see that everything she's been looking for is right in front of her. If it's not too late. 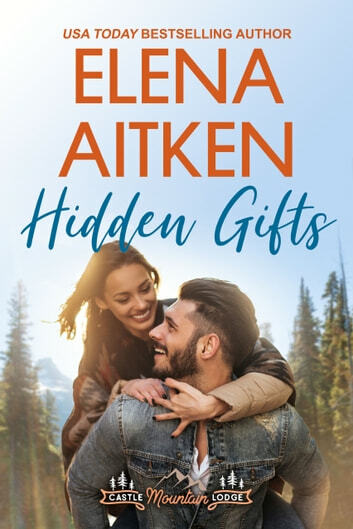 Like all my books, Hidden Gifts can be read and enjoyed as a stand-alone novel. But be sure to catch up with all your favorite characters with the rest of the Castle Mountain Lodge Series for more small town romance! Very interesting, cannot put it down. Easy reading lovely to fill your time with it in cold and dark nights. Quite a good read, typical boy meets girl. Leading people do not want to involved with each other, but can not help what destiny has in store for them.